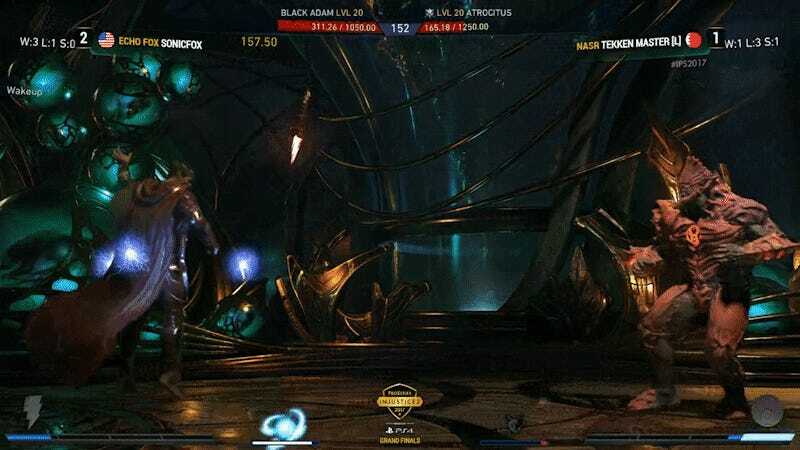 At the end of an intense top eight, Dominic “SonicFox” McLean secured a 3-1 win in the first Injustice 2 Pro Series event at Combo Breaker 2017 on the PlayStation 4. SonicFox made a dominant run through the winner’s bracket on both his Deadshot and Black Adam play, including a 3-0 win over to-be grand finalist Sayed “TekkenMaster” Hashem. When the two met again as the last two standing, TekkenMaster stuck to his guns on Atrocitus, and faced with the challenging task of beating SonicFox twice. 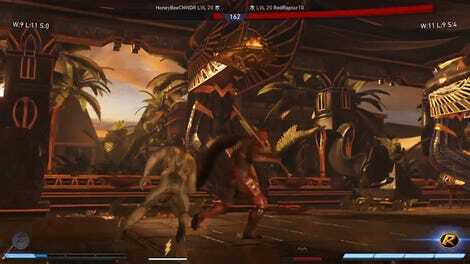 On his Black Adam, SonicFox took the first two games, which even led TekkenMaster to hover Gorilla Grodd for a moment in character select before going back to his Red Lantern main. That confidence paid off, resulting in a game 3 win for him that ended on a wager and chip damage. 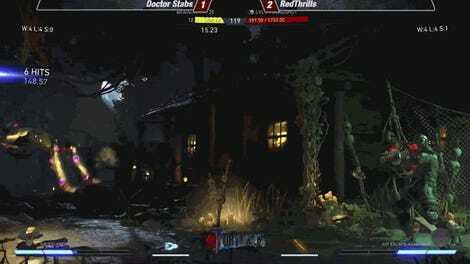 TekkenMaster looked strong, and even forced a stage transition on SonicFox in the fourth match. But a single missed move would cost him dearly, as SonicFox came out swinging with the lightning bolts that had served him so well throughout the series. SonicFox celebrated a little before coming back to embrace his opponent to the crowd’s cheers. To TekkenMaster’s credit, the tourney wasn’t just about SonicFox’s dominance, but also an impressive performance from Hashem, who took out some of the game’s best on his climb up through the loser’s bracket to re-match SonicFox. Besides taking home the trophy, SonicFox also boasts the first premier win in the Injustice 2 Pro Series, which will continue its circuit throughout the summer leading up to the Pro Series Finals on Sept. 17 in Los Angeles.